Last year, Bronx environmental organizations Sustainable South Bronx (SSBX) and Green Worker Cooperatives released a plan for an Eco-Industrial Park at Oak Point. This plan explores the feasibility of developing a $36 million dollar eco-industrial park on an approximately 28-acre, waterfront brownfield site in Hunts Point, in the South Bronx. The site is located in the western corner of the Oak Point rail yard next to Bruckner Boulevard, across the river from Rikers Island. The South Bronx has historically borne a much larger burden of noxious environmental and other undesirable uses than most of the rest of New York City. With 15 waste transfer stations, processing about 25 percent of the city’s waste, and a sewage plant handling more than half the city’s sludge, more than 11,000 diesel trucks per day drive through the South Bronx. The neighborhood is also downwind from four large power plants that dot the East River shoreline. Unsurprisingly, the area has the second-highest asthma rate in the country. 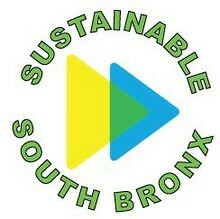 SSBX and Green Worker Cooperatives based this plan on input from the local community. They conducted over seven community workshops reaching over 60 participants, with the help of other organizations such as The Point CDC, St. Luke’s Church, and Bronx Community Board 2. The community feedback was then tabulated and given to the plan’s authors, to ensure that the community’s needs were integrated into the eco-industrial park’s structure and design. a small non-profit facility with educational exhibition space about recycling, re-use, and re-manufacturing; incubator space for craftspeople designing artworks or products made from recycled materials; a small café; and a child-carefacility for children of the employees. The site is currently zoned M-3 manufacturing, so each of these uses is allowed as-of-right. The plan’s authors conclude that together, these facilities would generate upwards of $90 million in annual revenues, including $70 million in sales of products made from recycled waste materials that most recyclers and processors consider to have low-end use and value. The facilities of the eco-industrial park would achieve a net reduction of some 20,100 truck trips annually (84 daily) by shipping and receiving on 4,300 barges and railcars a year (17 daily). In addition, they estimate that the industrial park would create approximately 335 living-wage jobs, and employers would qualify for tax credits for local hiring through the Bronx Empowerment Zone. Although the Oak Point site’s future remains uncertain, SSBX continues to advocate for the eco-industrial park. For more details on SSBX and Green Worker Cooperatives’ plan for an Oak Point Eco-Industrial Park, please visit the Atlas of Community-Based Plans, where you can download a detailed summary, or download a PDF of the full plan. For more information on green jobs in New York City, check out this Municipal Art Society podcast review of a panel discussion, “Manufacturing a Greener New York: More Industries, More Jobs” featuring Adam Friedman of the New York Industrial Retention Network, Omar Freilla of Green Worker Cooperatives; Andrew Kimball of Brooklyn Navy Yard Development Corp.; Rebecca Lurie of the Consortium for Worker Education; and Dawn Ladd of Aurora Lampworks. « Comment on Altantic Yards!